In my post about my Gmarket order #7 and in this post, I have already given you a glimpse of the Dear my glitter nail polishes from Etude House. Today, I have finally found the time to take some better pictures of these nail polishes on my nails. 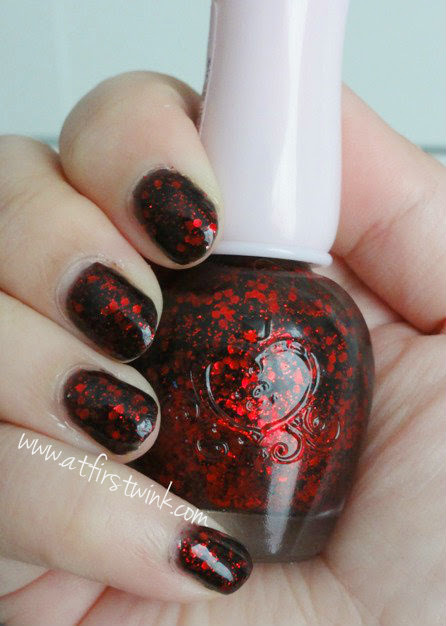 The Etude House PBK801 nail polish has a black base with large red hexagon glitters and small glitters. 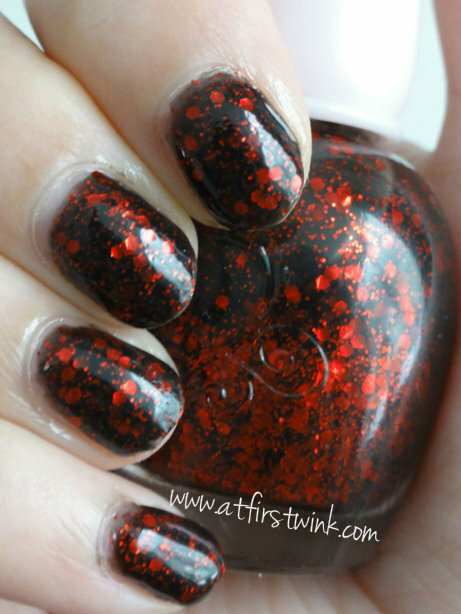 It is a dupe of the Deborah Lippmann 's Ruby Red Slipper. The Etude House PBK802 is the same polish, but the glitters are magenta instead of red. 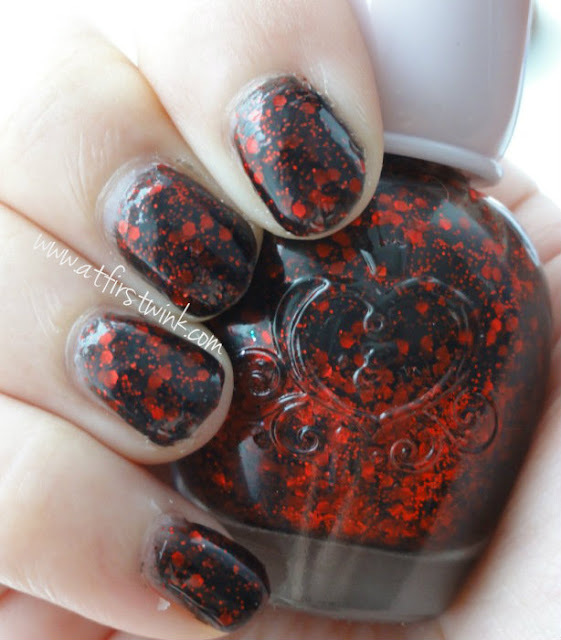 It is the dupe for the Deborah Lippman 's Bad Romance. I prefer the red and black combination, so I choose this one. 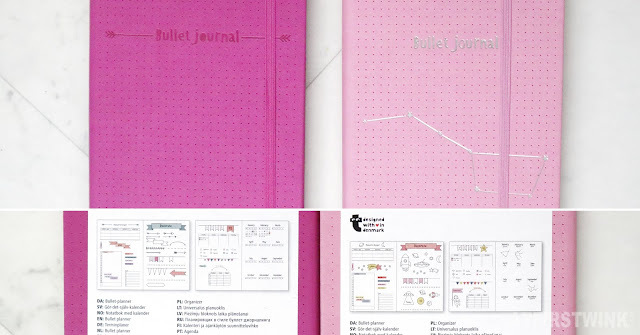 You can have a look of the magenta one in the chart in this previous post of mine, and decide which one you like best yourself. To make the nails look as nice as in these pictures underneath, it requires some effort. After ruining the first application, I took the time to make it more pretty the second time. This nail polish has quite a long drying time and requires three layers to get a total opaque black base. After applying one layer, I waited at least 10 minutes before I applied another layer on my nails, to completely make sure it has dried. The first time, the nail polish was like clay, leaving dents and scratches on the nails, whenever I touched something. So I really wanted to prevent this from happening again. The Etude House PBK801 also has a gritty and not so sparkly finish at the end, so a top coat is a must. I used the gel top coat I bought before at Narita airport, to make the surface smooth and to bring out the glitter more. A few days later, the nails are still looking very beautiful. The Etude House PPP502 nail polish has a clear base with large pink hexagon glitters and smaller glitters in pink and blue. From far away, the mini glitters create sort of an optical illusion, making you think that your nails are lilac. The larger glitters gives it a lot more complexity, since not all nails look completely the same. You need three layers of nail polish to fully cover your nails with glitter and again a top coat to prevent the larger glitters to fall off. I really like how this nail polish is quite subtle, even though it is a glitter nail polish.